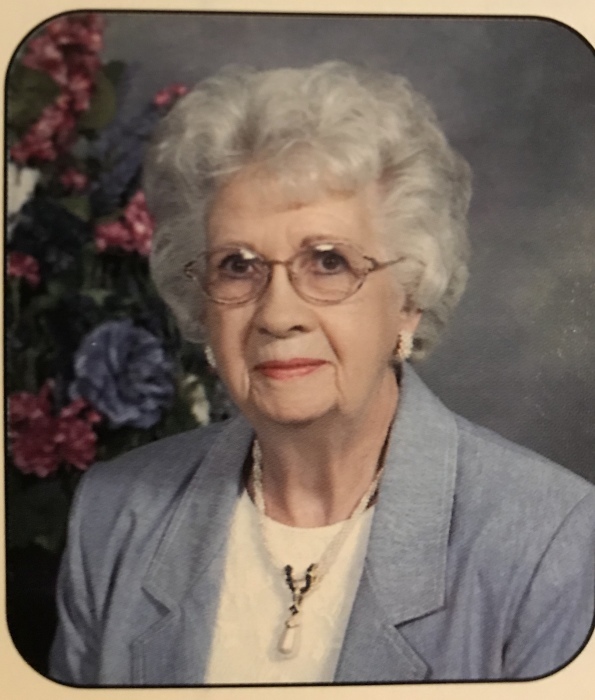 Margaret Ellen Sowers Wilson, 97, of Spring Church, passed away on Tuesday, October 23, 2018 at Forbes Regional Hospital in Monroeville, Pa. She was born Tuesday, October 4, 1921 in Kittanning, Pa., the daughter of the late Marshall J. and Freda McElwain Sowers. Margaret was a member of the Apollo United Presbyterian Church. She enjoyed baking, sewing, crafting and doing word puzzles. She loved decorating her home and doing flower arrangements. She is survived by her daughter Lydia Summerhill and her husband, Donald of Kiski Twp. and her daughter-in-law Kathy Wilson of Spring Church, 4 grandchildren, Matthew Summerhill and his wife, Dana, of Spring Church, Jody Smoyer and her husband, Jon, of Vandergrift, Joanna Ricchiuto and her husband, Mike, of Gibsonia and Bryan Wilson and his wife, Lisa, of Cranberry Twp and 12 great grandchildren. In addition to her parents, she was preceded in death by her husband, Layden H. Wilson in 1985, her son, Layden A. Wilson and a brother Merion Sowers. Family will receive friends on Friday, October 26, 2018 from 3PM to 7PM at the Kelly L. Corridoni Funeral Home LTD, 1916 Moore Ave., North Apollo, Pa. and on Saturday, October 27, 2018 from 10AM until time of services at 11AM at the Apollo United Presbyterian Church, 401 1st Street, Apollo, Pa., Pastor Lea Austin, officiating. Entombment is private. In lieu of flowers, family suggests memorial contributions be made in Margaret's memory to the Apollo United Presbyterian Church, 401 1st. Street, Apollo, Pa.